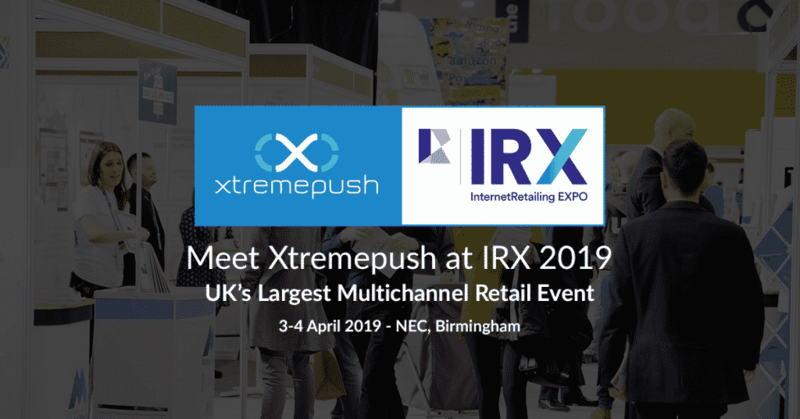 Xtremepush will be attending IRX 2019, the UK’s largest Multichannel Retail Event. The event will host 5000+ industry experts for an inspiring two days, which is full of powerful content, practical advice and the latest innovations on eCommerce. Xtremepush has extensive knowledge of deploying our Multichannel Marketing Campaign solution into the Retail & eCommerce industry. Our key features include easy SDK integration, enterprise-class analytics, personalised messaging, web & app push notifications, and unlimited iBeacon & Geo-Fencing capabilities. See our latest case studies and discover how Xtremepush has enabled Pierce AB, the petrolheads of E-commerce, to drive online sale conversions with Web Push Notifications.